Wagging Dog Rescue is a grassroots nonprofit that champions the rights of animals worldwide and works to create a better future for all lives. We rescue orphaned dogs and other critters from shelters and streets in Southern California and ’round the globe who have no other options and are at risk of euthanasia or worse, who may need medical care or rehabilitation, and who will one day be restored to their rightful place as a cherished family member. We advocate responsible pet parenting, stand against discrimination – in all forms – and dedicate ourselves to educating our communities in order to achieve our goal of a more compassionate future. WDR came about in November 2011 after our Founder, Cassandra, spent some time volunteering at her local municipal animal shelter. Finding the volunteer program to be inefficient and seeing too many good family pets put down simply because of a lack of options when the shelter ran out of kennel space, she resolved to focus her energy on saving lives, one life at a time. Euthanasia is not an acceptable form of population control. 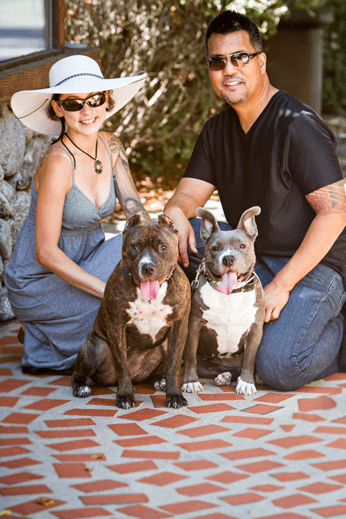 Cassandra began to recruit like-minded people to her cause, and Wagging Dog Rescue was born. Our rescue is an all volunteer 501(c)(3) tax-exempt organization that relies on charitable contributions and fundraising to supplement our adoption fees and provide for the care of our orphans. We are a registered charity with the CA Attorney General’s Registry of Charitable Trusts. We are all foster based and firmly believe in the value of a responsible, loving foster home to an orphaned dog. Our foster homes nurture these abandoned babes back to complete health while giving them the skills to be successful in a forever home and providing details that enable us to make successful matches between dog and forever family. The Wagging Dog Team is comprised of passionate animal lovers, owners, advocates and rescuers who give freely of our time, oft times money, and all the time – heart, in order to work together to improve our future. We support responsible pet ownership, a leadership lifestyle, spay and neuter .. and most of all, ADOPTION. Learn more about our annual rescue stats. through rescue, education and adoption.